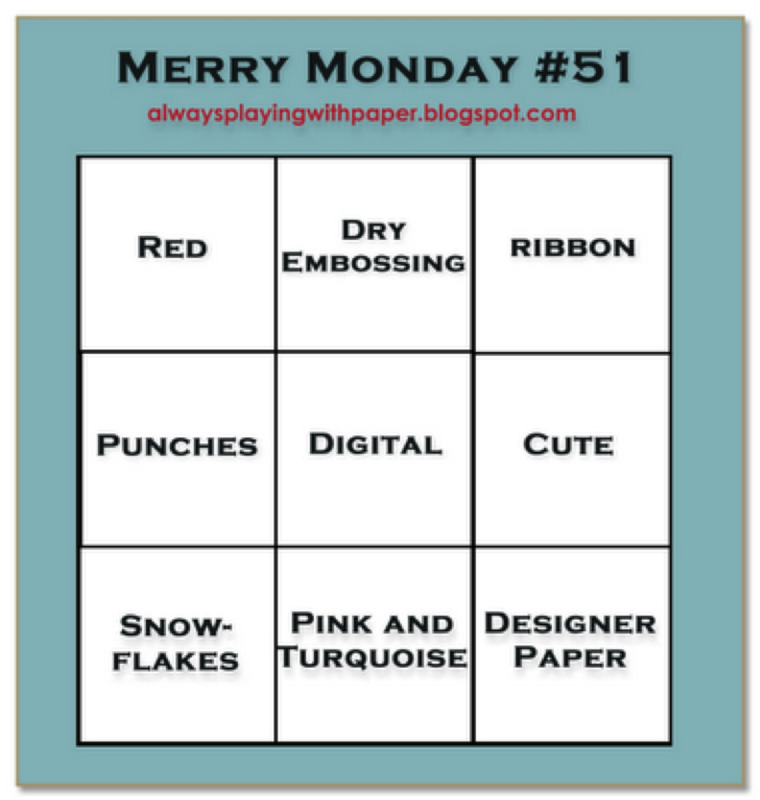 Lesley has a fun challenge for you over at Merry Monday this week! It’s Tic, Tac, Toe week again! Our challenge is to choose any three tiles in a row and create a Christmas card. I’ve gone with the three tiles across the top of the grid – Red, Dry Embossing and Ribbon. Before I ran my cardstock through the big shot I swiped my Cherry Cobbler Ink pad over the embossing folder to give the cardstock both texture and colour at the same time. Because I didn’t cover the entire folder with ink, it gave the cardstock a bit of a vintagey background – I quite like this look and think it really ties in with my vintage postcard theme. This is completely gorgeous, Narelle! You’re cards are always impeccable and full of detail and this one is no exception! It certainly stands out among the others, for me! Love the gorgeous vintage look you have achieved, Narelle. That postcard looks like a real antique! Your card is just gorgeous, Narelle! Love the ink embossed background, the colors and the beautiful bow! But my favorite part is your use of the stamp image to create the look of an old postcard! Fabulous! 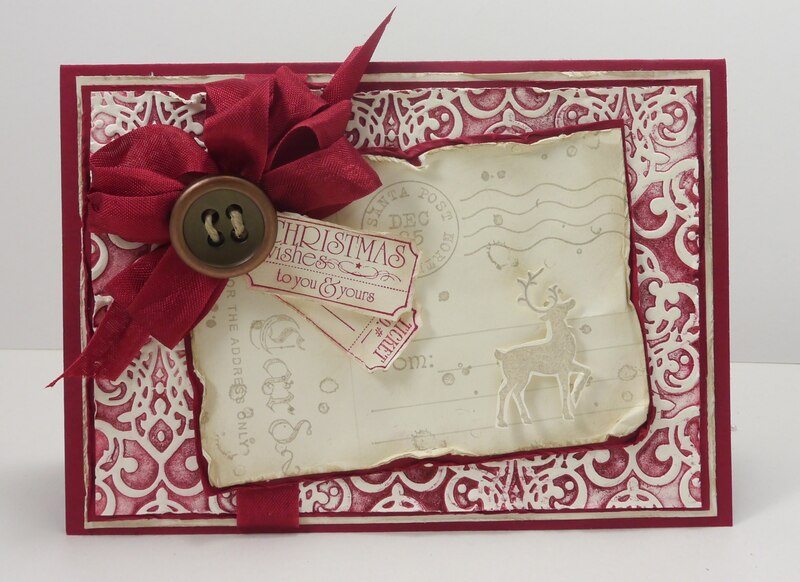 Inking the embossing folder makes a gorgeous background for the pretty, vintage postcard! Love the bow too! Gorgeous ribbon treatment and fabulous vintage feel! Love it Narelle! Beautiful card, Narelle. I love the softness of the Crumb Cake against the richness of the background. Thanks for the kind words left on my blog, and thanks too for the GD welcome 🙂 Your vintage card is a real beauty with that gorgeous background, and I love the postcard with the deer and tickets! Simply beautiful! Fabulous card Narelle, I love the vintage look and your bow is gorgeous. Lovely vintage card Narelle, love all the detail and your gorgeous bow and button trim. A great vintage card with just the right touches. The colors, textures, papers, stamps, etc. are all perfect to make this card beautiful. 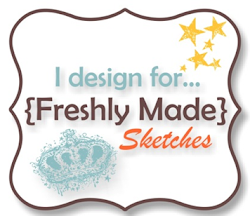 I love this Christmas card and thank you for describing how the technique works – I’ve done it now and I love it!